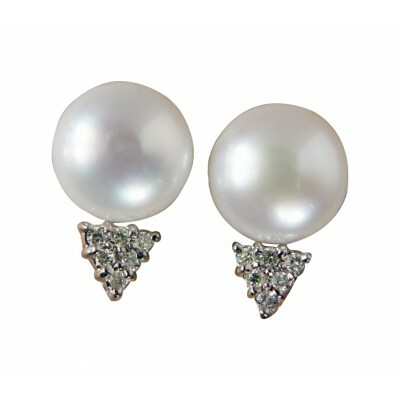 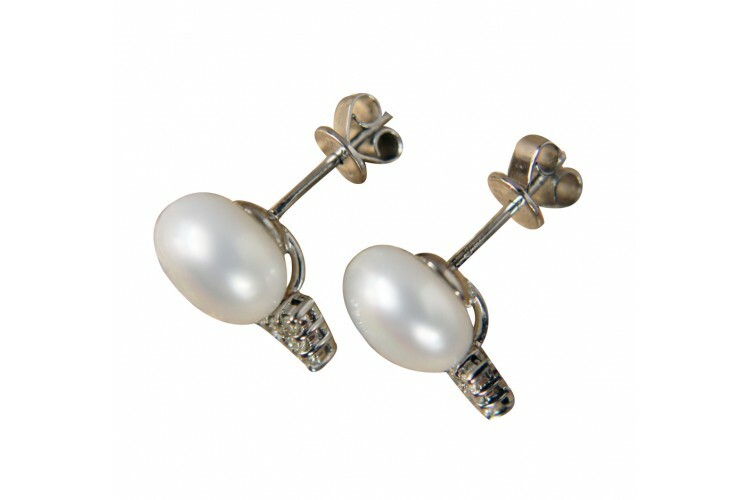 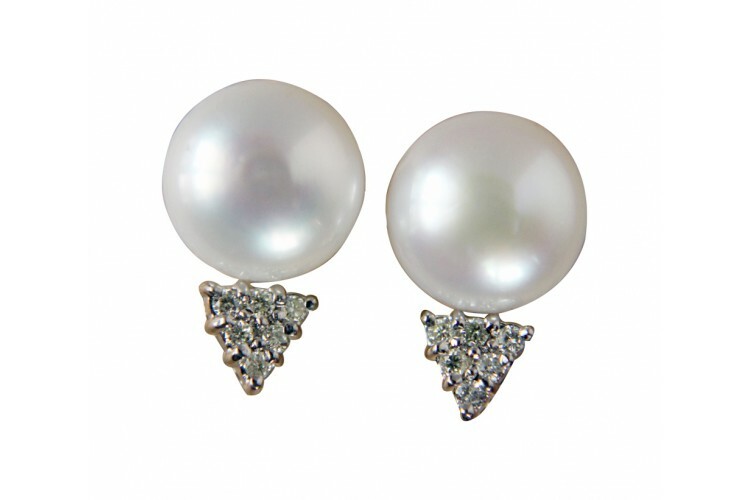 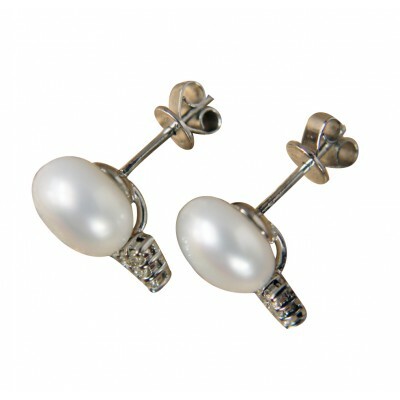 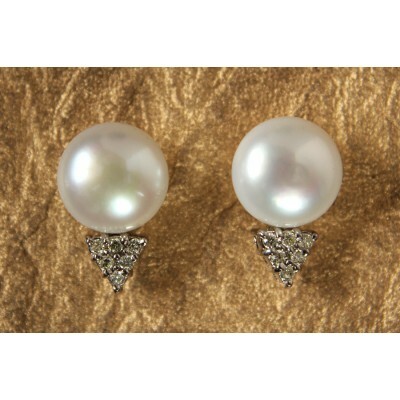 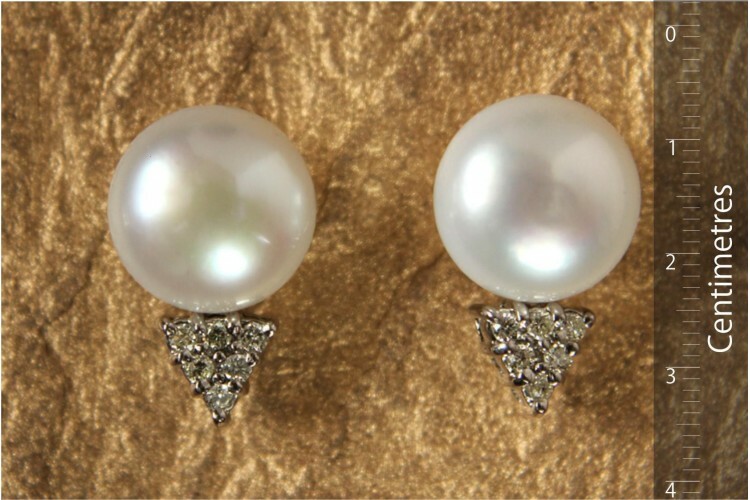 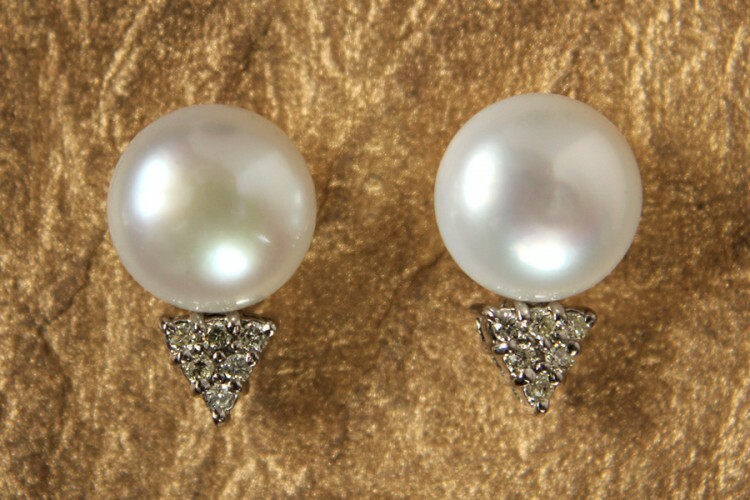 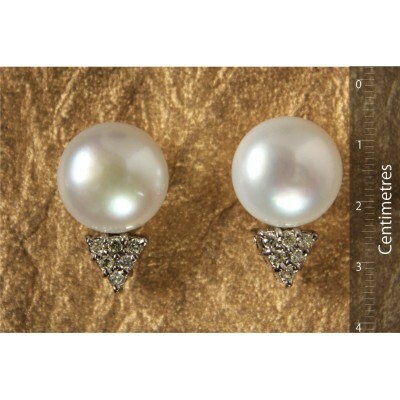 Pearl and diamond ear studs in 18k white gold ina simple setting best suited for daily wear. 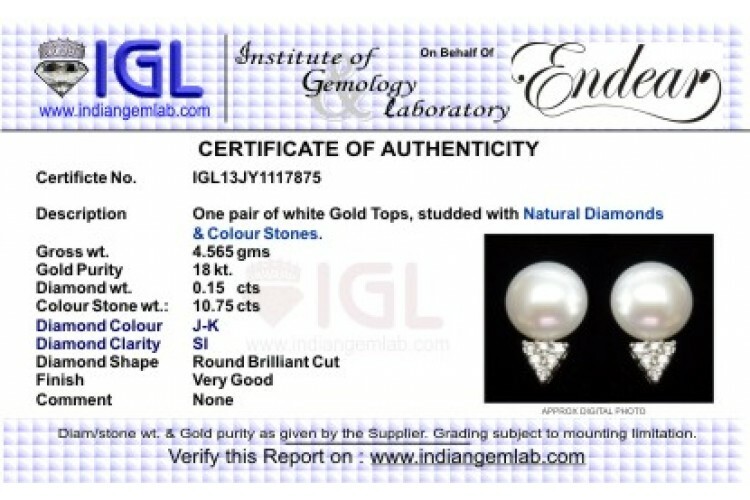 Pearls 10.75cts. 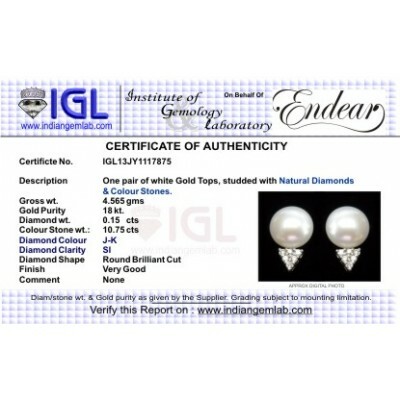 Diamonds 0.15cts.